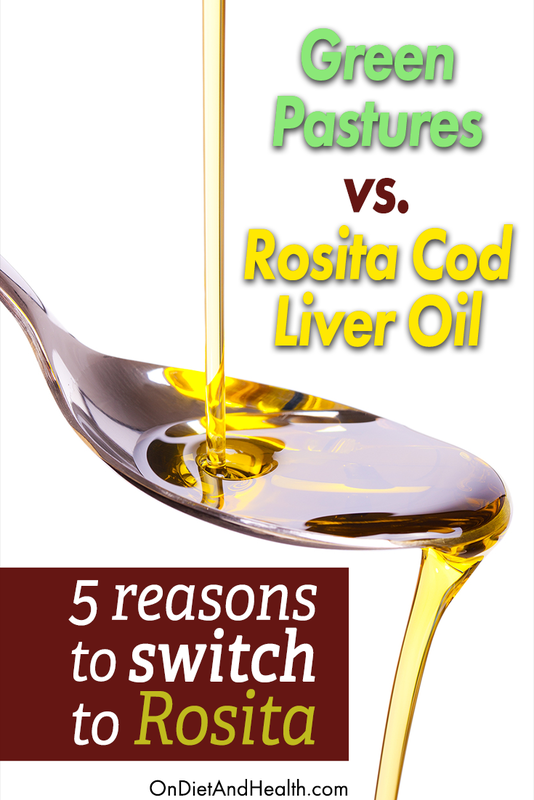 Rosita cod liver oil is raw, unrefined and light in color and taste. It’s the only extra virgin cod liver oil in the world, processed directly from true Northern cod as the fish come out of icy winter water. No chemicals, refining, filtering, heat or fermentation. Nothing is added. Nothing removed. It’s completely real whole food. 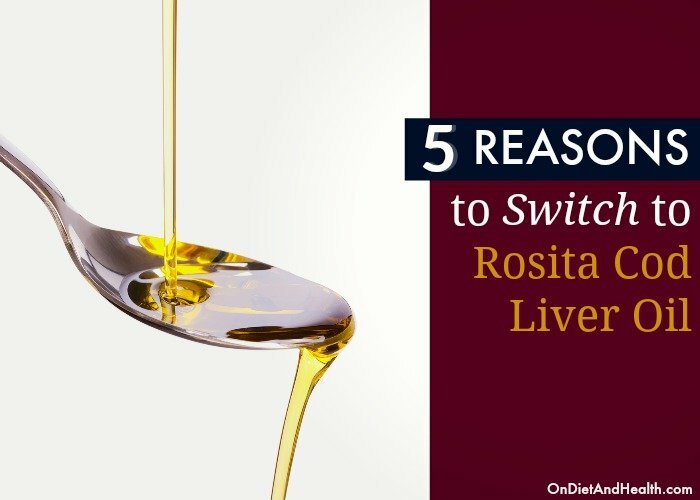 Rosita cod oil is a rich source of naturally occurring DHA, EPA, Omega 3 co-factors and Vitamins D and A. Most brands of cod liver oil are refined and filtered, removing vitamins which are then added back as synthetic supplements. I used to sell Green Pastures brand but when I heard about Rosita cod, I made the switch. Here’s an informative article and a podcast with co-founder Archie Welch. He created a team in Norway to produce this oil the old-fashioned way, reviving a lost art. Here’s Rosita cod liver oil liquid in my online store. Or find it in gel capsules here. 1). Rosita’s company-owned boats catch wild, true, Atlantic cod. The oil is harvested directly from the fresh fish. It’s possible that other suppliers use fish from southern Pacific waters and “ferments” them in 10,000 gallon vats in Nebraska over several months. This process allows the liver to slowly decompose and release meat, oil and by-products into the vat. The fresh Rosita oil is protected from oxidation by the addition of Rosemary and Vitamin E. Other oils may be oxidized by the time they are bottled. 2). The ratio of EPA to DHA in Rosita cod oil is 1:1. DHA is the most abundant fat in our brains, and I believe it more useful overall than EPA. The ratio of EPA to DHA in farmed fish and southern water fish is 2:1, yielding twice as much EPA than DHA. It’s one way to tell if your cod liver oil comes from wild Northern waters or Southern or farmed waters. Check your label and see. These Omega 3 Fatty Acids and their natural co-factors are immensely anti-inflammatory. They are good for us in every way including pain management and any inflammatory disorder such as eczema and arthritis. We evolved eating large amounts of Omega 3 rich foods, primarily ocean fish and a few types of nuts and seeds. Our bodies require them daily. One teaspoon of Rosita cod contains approximately 4500 mg. of total fatty acids, about 1500 mg. of that as Omega 3’s. If you want a capsule high in DHA (and no cod liver oil) this one on Amazon is what I suggest. 3). Taste and Vitamins! This oil tastes like sautéed Dover Sole to me… It’s quite easy to take a teaspoon by mouth. It can be added to warm (not boiling) food for picky eaters. One teaspoon contains 3000 – 5000 i.u. of Retinol Vitamin A. Retinol is real Vitamin A. Beta-Carotene from carrots and other veggies is only a precursor to Retinol and does not fully convert. There is 400 – 500 i.u. of Vitamin D per teaspoon. This is the same form of Vitamin D your body makes from sunlight and is slightly different from D found in supplements. Unlike commercially processed “fish oil” this oil contains all the natural co-factors present in the fish. Since I like to give clients about 2000 units of D per day, I suggest adding extra D3 (never the prescription form D2) and Vitamin K2 as well. See more below on the urgent need to add K2 to cod oil or Vitamin D supplements. 4). No Biogenic Amines. As I wrote in my article and podcast with Corganic co-owner Archie Welch, people with impaired detoxification systems (such as children with ASD) can have strong reactions to Histamine and other amines. Biogenic amines such as Histamine can be found in many fermented or non-fermented foods. People with compromised immune, neurologic or digestive systems may have a hard time clearing toxic amines. The presence of amines in a food may indicate spoilage or oxidation. Sensitive systems do not have proper gut flora to clear biogenic amines, sometimes causing violent reactions: vomiting, diarrhea, cramps, eczema outbreaks, rashes, itching, allergic responses, etc. 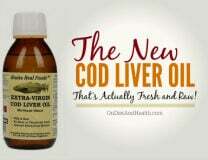 There have been reports of these reactions in fermented cod liver oil users. 5). 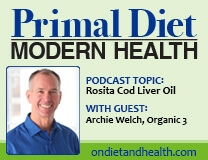 Rosita cod oil replaces ordinary fish oil as well as other brands of cod liver oil. You get the benefits of a true synergistic superfood in one teaspoon daily for life. It is easier to digest than other oils I’ve tried too. You can order it from me here. Remember that “fish oil” is different from cod liver oil. Fish oil is from the body of the fish and does not contain Vitamins A and D.
ALWAYS take Vitamin K2 supplements when you consume Vitamin D. Prevent and reverse K2 deficiency as the cause of heart disease, osteoporosis and the epidemic of narrow faces and jaws that cause us to have to have teeth pulled and wear braces. Read more here and here and listen to this podcast on my own show and this one on Robb Wolf’s show. Weston A. Price proved forever that it was the combination of large amounts of fat-soluble A, D and K2 (Activator X) that accounted for the prime health of the people he studied world-wide in the 1930’s and 40’s. 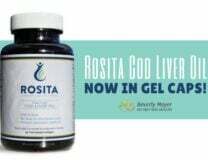 Here’s Rosita cod liver oil in liquid or in gel caps here in my online store by itself, coupled with Emu Oil, or paired with BioCeuticals K2. 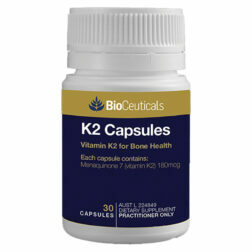 You can buy K2 as a supplement in the MK-7 form here and here with Vitamins D and A, or even better, as Walkabout Emu oil, the richest source of Vitamin K2 on the planet, up to 7 times more potent than high vitamin butter oil. Take it for life!